Witness accounts of gunfire, chaos, bloody bodies and desperate bids to survive last year's mass shooting in Las Vegas emerged Wednesday in police reports made public seven months after the deadliest event of its kind in modern U.S. history. "I was laying next to my mom and she said, "I got hit. I got hit," one woman told police in one of dozens of accounts made public after The Associated Press and other media organizations filed a lawsuit seeking the records. "I then saw blood come out of her mouth." 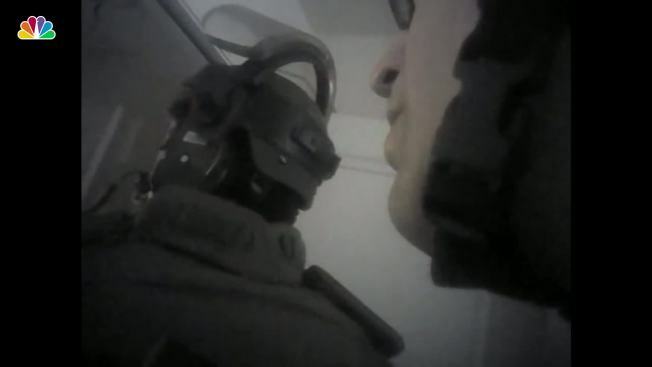 Names were blacked out in more than 1,200 pages of reports made public on a DVD by Las Vegas police. The accounts did not provide a motive for the attack, which police have said they have not discovered. 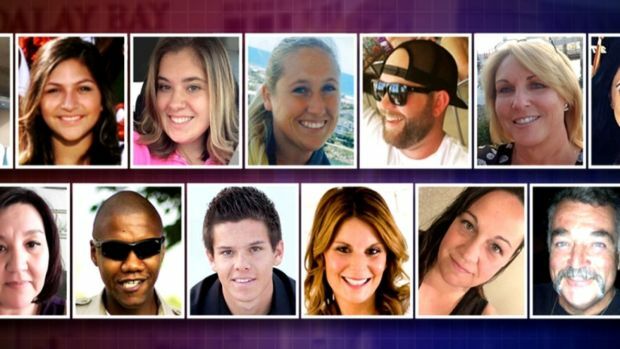 But they described in detail the terror, confusion and compassion to care for the wounded that was sowed when Stephen Paddock rained gunfire from a 32nd floor hotel room down on the 22,000 people attending the Route 91 Harvest Festival concert on Oct. 1. "There was a noise to our right. And everybody just kept yelling, like 'Oh, it's fireworks,'" one woman told investigators. "A couple of seconds later, um, I fell to the ground and I couldn't feel my arm." She added: "Within seconds of that, like, the second round of bullets came through and everybody just hit the ground." A man who was with the woman saw she was bleeding, "and then it dawns on me. I'm like, 'There's obviously an active shooter. You know, you literally — I just kicked into a mode of 'We have to get out of here.'" They ran for cover and escaped to a street where a limousine driver drove them to a hospital where the woman remembered hallways full of stretchers with people in them. "And they couldn't get names of everybody just because there were so many people," she said. Paddock killed 58 people and injured hundreds before killing himself as authorities identified his perch from his hotel room in the Mandalay Bay resort. Police and the FBI have said they don't know a motive for the attack, but believe Paddock acted alone and the attack had no link to international terrorism. Media outlets sued to obtain videos, 911 recordings, evidence logs and interview reports to shed light on the response by public agencies, emergency workers and hotel officials during and after the shooting. Department lawyers who opposed releasing the information called the public records request costly and time-consuming, and said it could disclose investigative techniques. Clark County Sheriff Joe Lombardo said early this month the police investigation was not finished, and apologized to the public for the release of information that he said would "further traumatize a wounded community." Sgt. Jeff Clark, a department spokesman, said authorities would not comment about the documents released Wednesday. FBI spokeswoman Sandra Breault in Las Vegas also declined to comment. A preliminary report released by Lombardo in January said Paddock meticulously planned the attack and scouted potential targets in at least four cities where he rented rooms in buildings overlooking outdoor concerts. Police reported finding thousands of rounds of ammunition and dozens of guns in Paddock's hotel rooms and his homes in southern and northern Nevada. Documents say about 100 pounds (45.4 kilograms) of explosive material was found in his vehicle parked at the Mandalay Bay resort in Las Vegas. 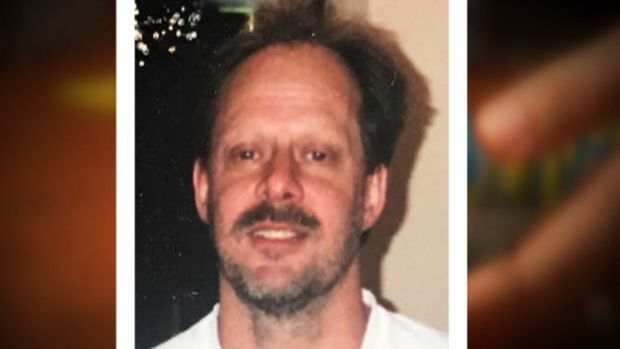 Paddock's girlfriend, Marilou Danley, who was in the Philippines at the time of the shooting, described to investigators relationship difficulties with the 64-year-old retired accountant, millionaire real estate investor and high-stakes gambler. Lombardo said it appeared Paddock was on a gambling losing streak, and police reported finding just $273 in cash in his hotel room. Danley acknowledged to the FBI that she helped Paddock load high-volume ammunition magazines that police have said he later used in the attack. She has not been charged with a crime. An Arizona man faces a federal charge alleging that he provided illegal armor-piercing ammunition that authorities found in Paddock's hotel suite. Douglas Haig has pleaded not guilty. He maintains he legally sold Paddock tracer ammunition that illuminates the path of fired bullets. Associated Press writers Michelle L. Price in Las Vegas, Brady McCombs in Salt Lake City, Astrid Galvan and Terry Tang in Phoenix, Felicia Fonseca in Flagstaff, Arizona, and Mary Hudetz in Albuquerque, New Mexico contributed to this report.